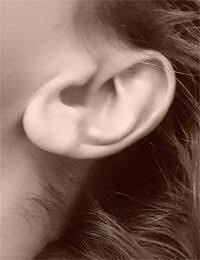 Home > Ask Our Experts > What Are the Treatments for Autoimmune Ear Disease? My wife has been diagnosed with autoimmune inner ear disease, which is of a advanced stage which is affecting her balance. She has had steroid injection to inner ear which failed to relieve her balance problem and which she has had a reaction to. We were told today there is no other treatment but surgery but this will result in total hearing loss. Is there a specialist in London who is conducting research? Is there any tests to ascertain what food intollerances my wife has, which may be causing this condition? From your query it sounds like you have had substantial specialist input in the diagnosis and options for your wife’s condition but of course you are right to explore every possible avenue before she consents to surgery. It may be worth asking your specialist about the concept of cytotoxic drug therapy which has shown in some cases to be more beneficial in patients especially in those who have had no improvement from steroid therapy or have failed to maintain the result. Of course, it may be that your physician has explored this possibility and it is hard to assess from your question whether these options have been explored, ruled out or whether your wife is a suitable candidate. With regard to dietary considerations it is possible for the ears to be affected by certain allergies which can include wheat, dairy or specific allergens along with hay fever or other irritant inhalant agents but again I would expect a specialist to have investigated these avenues quite thoroughly. Most allergic reactions that affect the ears produce symptoms associated with ear infections and congestion and may produce pain, imbalance, seepage from the ear and common cold-like symptoms. As this disorder is fairly new and being constantly researched and the results thoroughly assessed, evaluated and scrutinized it is difficult to find up-to-date and current information about research projects that are open to the public, however The Hearing Research Trust which has a very informative website www.deafnessresearch.org.uk provides a comprehensive site of information and will give more details about current research techniques and proposals and would be a great start to finding out if your wife can become involved in any breakthrough treatments that may save her hearing. If you cannot find any possible projects that may maintain her hearing it is not the end of the world. Although it may feel like the worst possible consequence to this disease, thousands of people live very full and happy lives without the ability to hear and many find that they cope and adapt extremely well with their new circumstances using their other senses more efficiently instead of the ability to hear.